Many of us love our animals as family and National Pet Parents Day is a way to honor that special bond. The recognition was initiated by Veterinary Pet Insurance and this year is being celebrated on April 17. VPI has teamed up this year with American Greetings so you can send a free e-card to your pet parent friends. Or create your own celebration, whether a special treat, walk, or just some extra cuddling or quiet time. As a Pittsburgh Celebration and fundraiser for the Animal Rescue League of Western PA, Heal from Pet Loss and Color Me Mine are hosting a painting party on Sunday, April 17 from noon to 6 PM. Paint a cool food bowl, treat jar, picture frame or memorial plaque for your special animal companion. 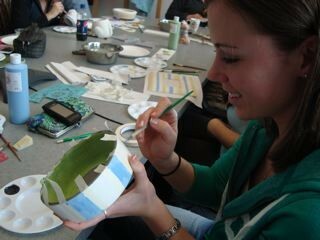 $15 covers painting and firing time, refreshments and a donation to the Animal Rescue League. There will be a wide range of pieces to choose from to accommodate various price ranges. Call 412-421-2909 today to reserve your two hour block of time. You are welcome to bring your, hopefully, well-behaved pet, and enjoy an outing together! 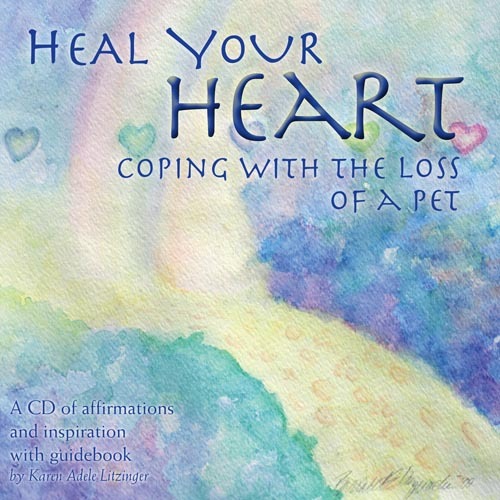 As part of the fundraiser, I will be doing a CD signing of the award-winning Heal Your Heart: Coping with the Loss of a Pet with profits going to the ARL. Consider having one on hand to give as a sympathy gift to a dear animal lover friend or family member.